It all started in 2003 when my husband and I decided that we wanted to breed parrots. 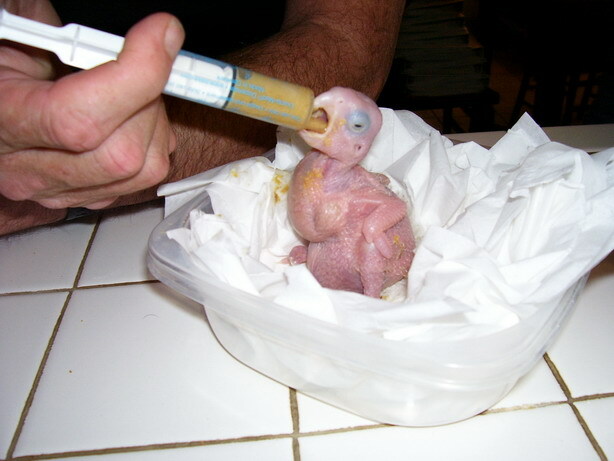 After many years of enjoying them as pets, we thought that it would be fun to raise hand fed baby parrots. So we built an aviary and found a bonded pair of Congo African Greys to be the first inhabitants. Once we were up and running we found that we needed more space. Since then, there have been two additions to the aviary building and many more varieties of parrot have come to live with us. The aviary is heated in the winter, and the windows can be removed in the summer for ventilation. The building is bug-free and the cages are cleaned frequently to ensure that the birds are healthy and free of disease. 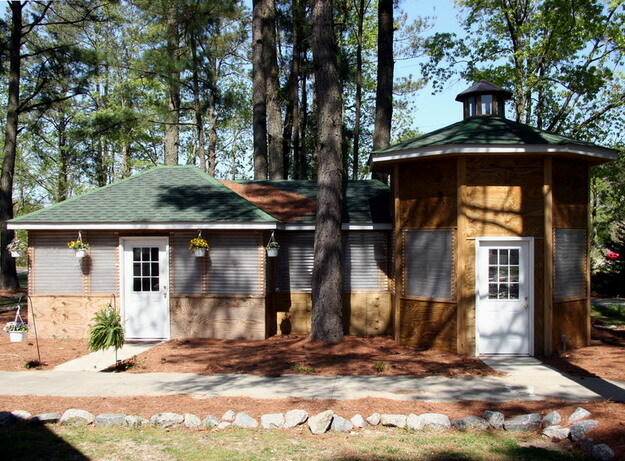 Our aviary is located in rural North Carolina, not far from the coast, where the mild climate and peaceful surroundings provide a relaxed atmosphere which allows the pairs to concentrate on mating. With many parrots, come many eggs, so the incubator is usually occupied by at least one, if not several, eggs. Our incubators are maintained at a precise temperature, and the eggs are rolled periodically, with the aid of a timer. This simulates the natural rolling of the egg that occurs during roosting in the wild. The eggs are usually collected just after they are laid by the mother. Some pairs destroy their eggs by either throwing them out of the nest box, or by pecking them until they are no longer viable. I increase the chances of survival by collecting the eggs immediately after they are laid, and placing them in an incubator. 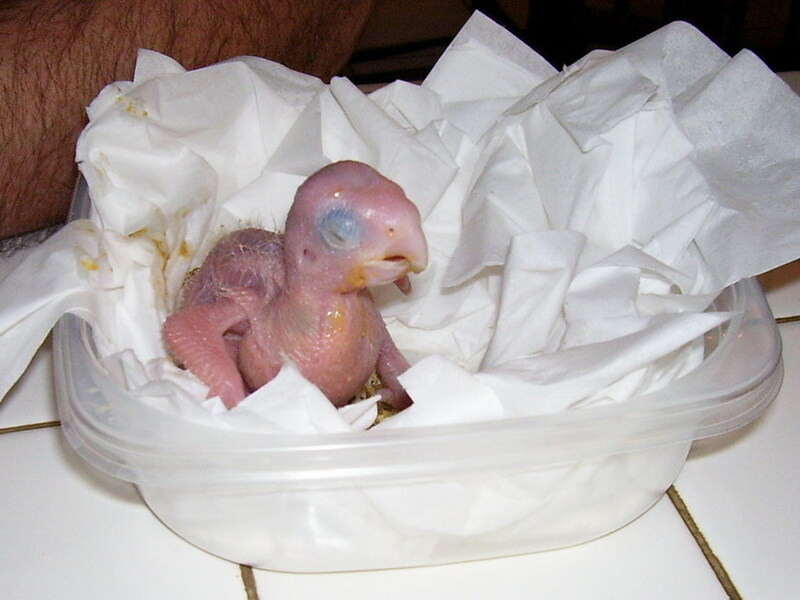 Gestation varies depending on the breed of parrot. The average time an egg spends in the incubator before hatching is about 28 days. 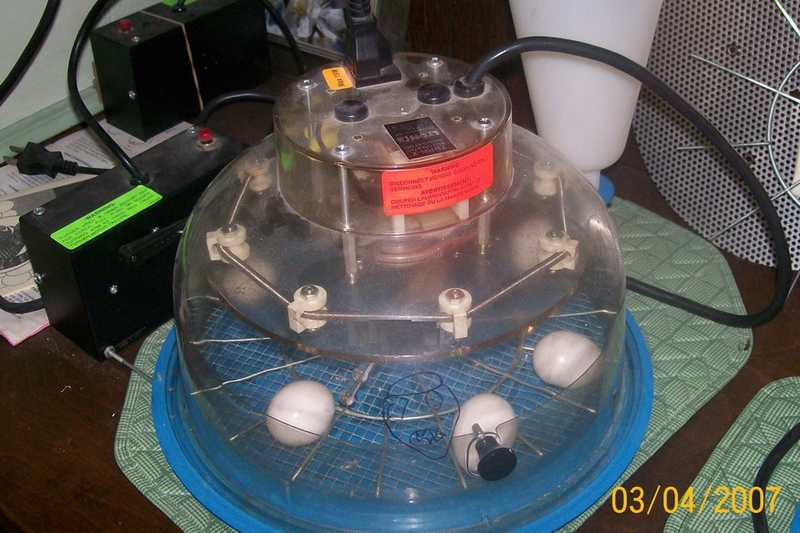 Eggs are "candled" shortly after being placed in the incubator to determine if they are fertile. Sometimes the egg can be seen moving or "wobbling" just before the baby begins to peck its way out. Upon leaving the shell, the baby has only touch and smell to rely on as its eyes are not yet open. Exhausted from its efforts, it lacks the strength to hold itself up. The baby is then put in a basket with plenty of linens for comfort, and placed in a climate controlled tank similar to an incubator. 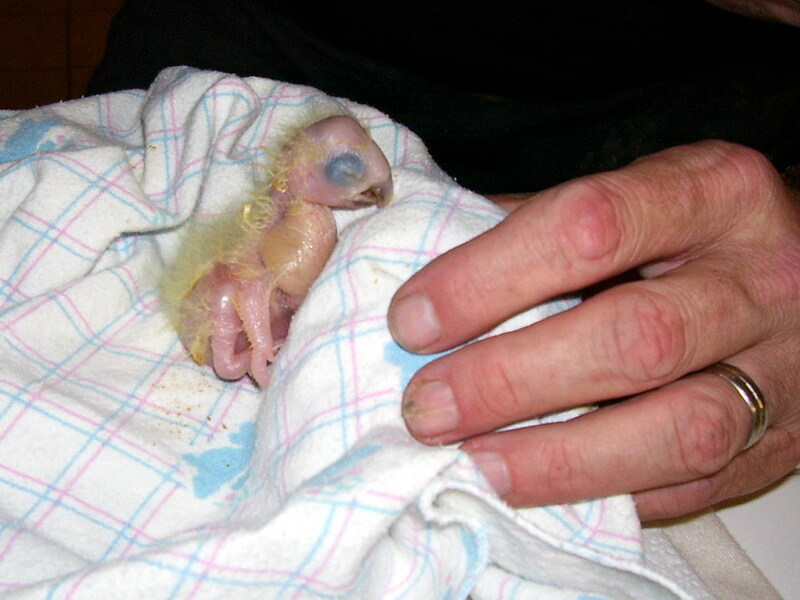 When hatched, the young parrots are covered in a fine yellow down feather, which they lose in about 4 to 6 weeks as pin feathers begin to show. The bird's beak is soft when first born and is often referred to as an "egg beak" because it is only strong enough to break the egg. Feeding starts immediately after the bird leaves its shell. A special blend of cereal, vitamins and minerals are mixed together and fed to the baby using a syringe. The babies are very weak in the beginning and need to be held up as they are fed. Instinctively, the babies bounce up and down, make noises and flap their wings while being fed just as they do in the wild. Food is swallowed by the baby and instead of going into its stomach, it is directed into the bird's crop. In this photo, the crop can be seen filling up on the bird's breast plate just below the neck. Over time the crop will empty as the food slowly moves to the stomach. As the baby's crop fills, the bird becomes less eager to feed until finally it stops. Over-feeding could injure the bird, so if a baby does not want to stop eating; I stop feeding it when its crop looks full. When they are very young, the babies get most of their exercise during feeding. As they get stronger, they begin to move around and are more active in their baskets. Still barely able to move on its own, the baby in this photo has just finished feeding and is weighed down by a full crop. Feeding is hard work for the youngest of the babies and afterward they are exhausted. This little guy will be placed back into his basket to sleep off this large meal, but before long he will begin to stir and chirp out requests for another meal. As this baby grows, its eyes will open and the beak will become hard and more defined. The remaining yellow down feathers will fall out and real feathers will replace them. It will learn to use its claws for climbing and eating while it gains strength and develops coordination. When ready to leave the nest, they are used to both humans and other parrots like themselves. Our babies share their baskets with other baby parrots. This helps the babies relate to other parrots from a young age. They also use each other to hold themselves up until they develop their strength, and they seem to enjoy having the company. When the baby parrots sleep they always nestle together for warmth and comfort. 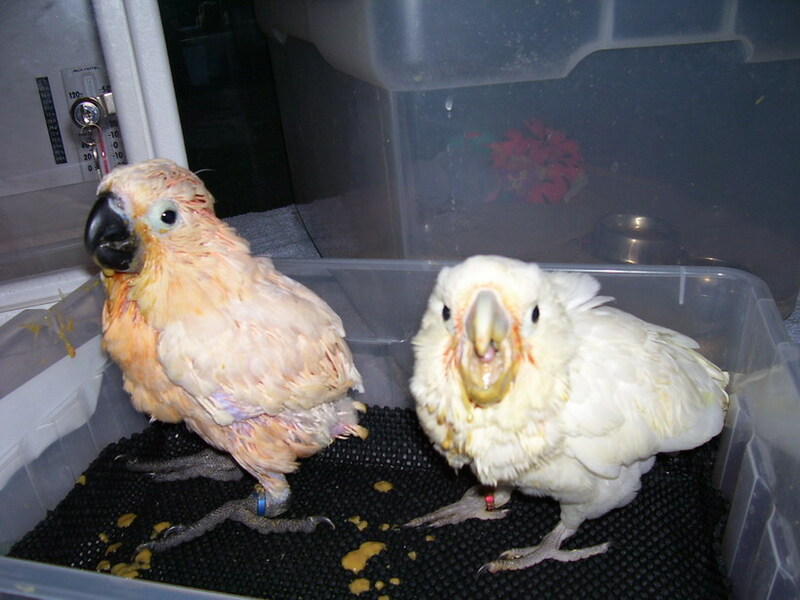 In this photo a Goffin's cockatoo shares his basket with his younger Moluccan friend. The babies are with us for about 12 to 16 weeks, from the time that the egg hatches until they leave for new homes. All photos are copyrighted by pretty-parrots.com and/or its contributing photographers and may not be reproduced or exploited in any fashion without permission from pretty-parrots.com. Where specific permission for media use has been given, please use the appropriate credit.